Candles are one of my absolute favorite things to give and receive as gifts. They are the perfect gift for the people that are difficult to buy gifts for. Everyone loves candles and you can never have too many. Old Factory candles are soy candles that are handmade in the US. Old Factory sells their candles in gift sets of three 2oz candles. 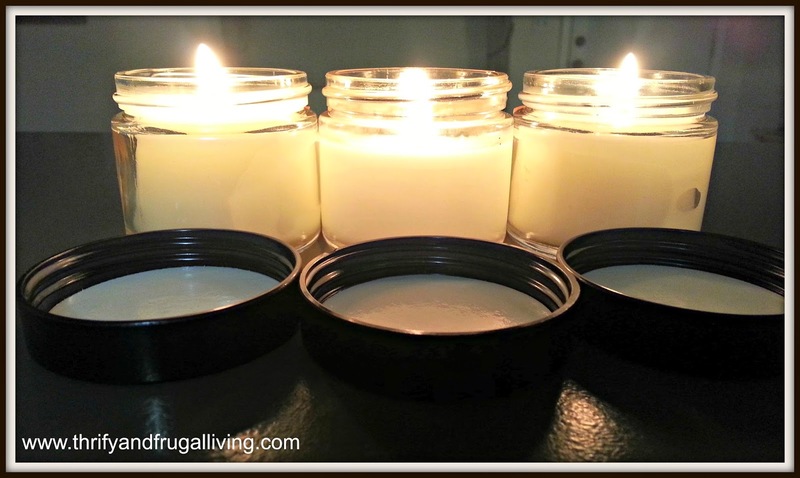 Each 2oz candle burns clean for at least 20 hours. That means you have potentially 60+ hours of amazing scent per set. You can also have the set gift wrapped through Amazon. Old Factory sent me my set wrapped. It was a very pretty package to open. Once the wrapping paper removed, I realized that this gift set really does not need it. 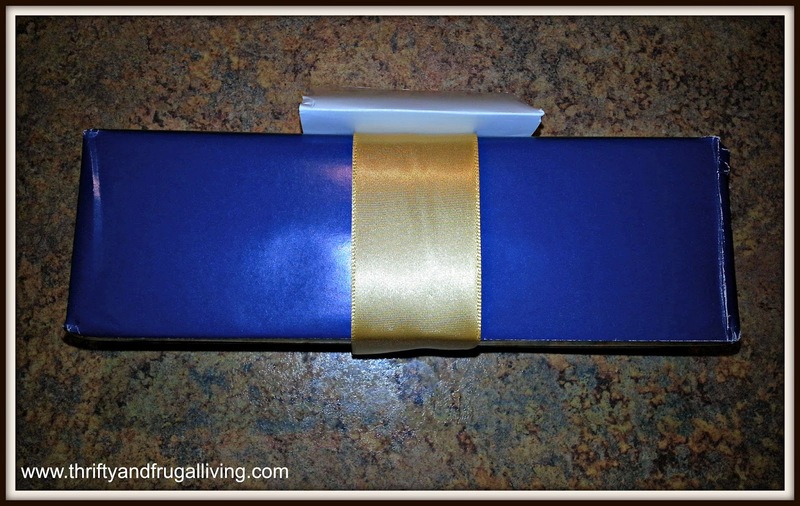 Old Factory Candles come in a pretty box that could function as the wrapping by itself. Old Factory has a dozen different sets to choose from. The sets are all themed. Fall Harvest has Pumpkin, Cranberry and Autumn leaves. Winter Wonderland has Hot Cocoa, Roasted Chestnut and First Snow. Happy Holidays has Christmas Tree, Candy Cane and Gingerbread. It was a tough decision, but I knew I had to pick one of the sets with Lemongrass. Lemongrass is my all time favorite scent. 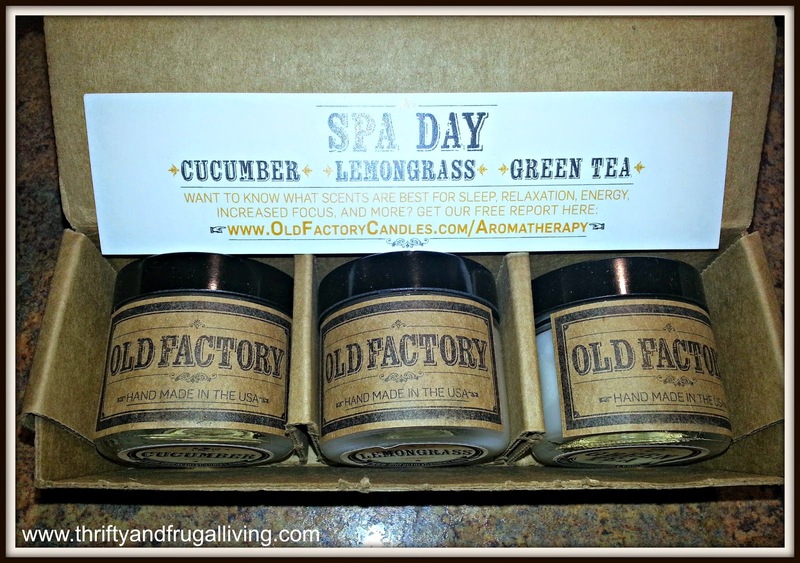 I decided to pick the Spa Day set: Cucumber, Lemongrass and Green Tea. I made a great choice! These candles all smell fantastic and they work well together too. I have used all three candles quite a bit and they are still almost full. The jars that they come in are very nice. The glass is thick and it helps keep the candle from getting super hot when burning. They have screw on lids that cover the candles to protect them when they are not in use. The jars are so nice that I will be re-purposing them once they are empty. They would be great for homemade sugar scrubs. 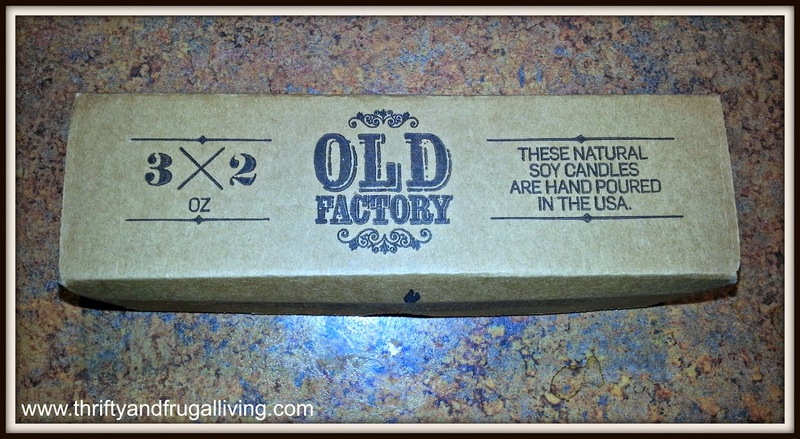 Old Factory will have your house smelling amazing in no time! I really love these candles and I wouldn't mind getting a few more for Christmas (hint, hint). They would make great gifts as a set, or you could separate the set into three different stockings. 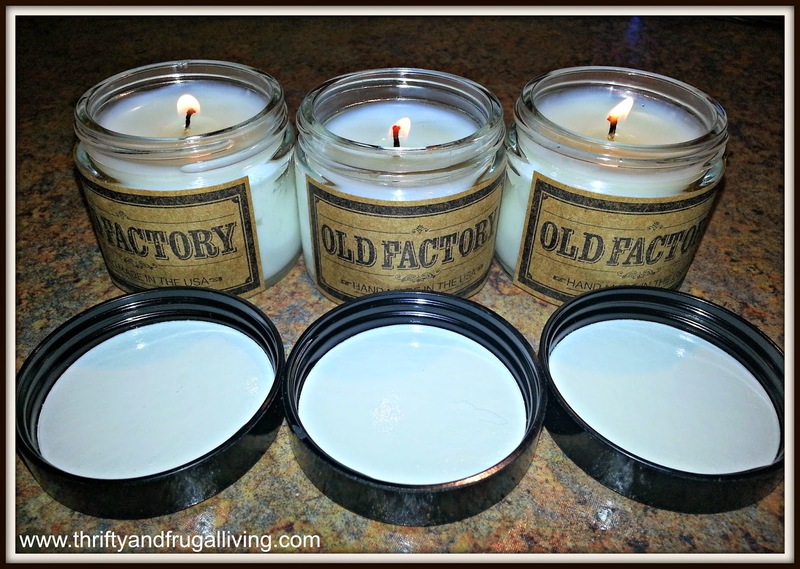 One lucky reader will win the Old Factory candle set of their choice! **TO ENTER- Enter using the Rafflecopter below. Note: It may take a moment for the Rafflecopter to load. If you are reading this via RSS or Email, please visit the website to enter** Ends 12/05 at 11:59pm. Thanks for sharing! I would definitely have to go with the Holidays set with it being so close to Christmas! I would choose the Winter Wonderland set. I'd like the Clean & Fresh Set if I won. I would choose the Happy Holidays set. If I win, I will choose either Spa Day or Fall Harvest. I like the Fall Pumpkin, Cranberry and Autumn leaves scented Candles! I love the winter wonderland. If I were to win this giveaway I would choose the Happy Holidays candle set. I would love the coffee shop set! ALONA Y.
I would pick the Vacation set.